London: European shares rose on Thursday, recovering some of the ground lost in a heavy sell-off in the previous session on a spike in Italy’s borrowing costs, with signs of new governments being formed in Italy and Greece, inspiring hopes of some stability. Italian shares rose, as the country’s bond yields came off record highs, with the European Central Bank providing buying support. Italy’s benchmark was up 2.2%, with UniCredit, heavily exposed to sovereign debt, up 4.9%. An Italian short-term bill auction on Thursday placed the full 5 billion euros, though yields were the highest since 1997. Former European Commissioner Mario Monti emerged on Thursday as favourite to replace Silvio Berlusconi and form a new government to stave off a run on Italian bonds that is endangering the entire euro zone. 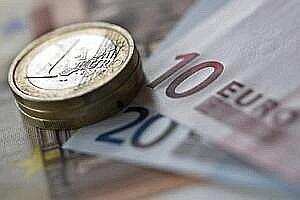 London: European shares were led higher by euro zone financials on Thursday on hopes Italy and Greece, fractious focal points of the region’s debt crisis, could be set to usher in new governments and press ahead with reforms. A fresh foray into the sovereign debt market by the European Central Bank, back buying Italian paper and pushing yields lower, also helped, although sentiment remained cautious and volatility edged slightly higher. In a sign the political road ahead would not be smooth, however, a senior member of Italy’s Northern League party said it would not back a possible new government led by former European commissioner Mario Monti, seen by many as market- and reform-friendly. The latest Italian debt auction also went better than many had expected, adding to the positive sentiment in Italy, while in Greece, politicians tried again to agree on a new leader, with former ECB vice-president Lucas Papademos back in the frame. After opening lower, the FTSEurofirst 300 index of leading European shares recovered to rise as high as 974.06 points, and at 5:29pm, was trading up 0.4%. Italian and Greek indexes were among the top gainers, posting gains of 2.2% and 2.7%, respectively, while the STOXX Europe 600 Euro Zone Banks index and Insurance index, which trims out Swiss, Nordic and UK firms, were the top sectoral gainers. “You can see higher beta stocks, such as financials, rebounding if we get more positive news flow," Tom Elliott, global strategist at JPMorgan Asset Management said. “But we need to put any such rallies in perspective, a new government will be only the first step of any recovery of Italy within the euro zone. Therefore these are essentially short-term trading stocks." Highly volatile, short-term-driven trade is likely to remain the order of the day for equities in the immediate future, Elliott said. “The volatility we’ve seen since August hasn’t really gone away in most of the major markets." As a result, longer term investors should consider high dividend-yielding stocks in value/defensive sectors such as consumer staples, utilities and pharmaceuticals to give some protection from market volatility and provide an income to protect against inflation. Wilfrid Pham, head of equities at Natixis Asset Management in Paris, which manages around €40 billion in assets in equities, said the lack of a political consensus at the European level was fuelling equity market volatility. “We are cautious on Italian equities and remained quite cautious on financials," he said. Volatility, as measured by the Euro STOXX Volatility index , was up 0.3% at 41.89 around midday, unusually for the index, which normally has an inverse relationship to the cash equities market. In a note, Deutsche Bank analysts said the “market turmoil has opened up value opportunities in a relatively wide range of industries," citing Schneider Electric, Alcatel-Lucent and Statoil, among others. Corporate earnings continued flow through in a patchy manner, with French bank Credit Agricole, one of the biggest fallers as it became the latest lender to detail the effects of the debt crisis on its bottom line. The firm, a large holder of Italian government debt, saw its shares fall more than 1% after third-quarter profits slumped on the back of losses on its holdings of Greek debt. The inconsistent feed through into the real economy was visible in results from Credit Agricole’s French peer EADS , as the aircraft maker rose more than 4.5% in volume around 150% of its 90-day average after posting forecast-beating results. “I am confident the commercial aircraft market will sustain our growth in years to come despite the weakening of the macro-economic environment and particularly of the European economies," Finance Director Hans Peter Ring told reporters. Among other blue-chips reporting, engineering firm Siemens , a bellwether for the German economy, gave a cautious outlook as it posted forecast-lagging operating profit, while Veolia Environnment issued a fresh profit warning. For Natixis AM’s Pham, the current earnings season was steady and an improvement on the previous quarter. “The negative surprise, the positive surprise and those who report in-line is fairly balanced," Pham said, citing luxury stocks as one of the standout performers. Thomson Reuters StarMine data showed by the Wednesday close, 74% of the STOXX Europe 600 companies due to report in the current earnings season had done so, with half meeting or beating expectations and half missing.